The popular Truefitt & Hill, established in 1805, is the longest-serving barbershop in the world. 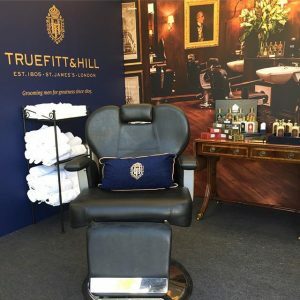 With a long history of two centuries, they have trimmed and shaved the hair of Great British Monarchs through 9 consecutive reigns, and have held a Royal Warrant of appointment to the Royal Household since His Majesty George III. Today they work by royal appointment to H.R.H. Prince Philip Duke of Edinburgh, visiting him at Buckingham Palace or Windsor Castle. Other members of Royal Family and Royal Household visit the barbers in their shop on St James’ Street. 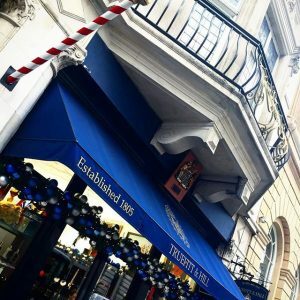 Though it’s not just royalty Truefitt & Hill have been honoured with the presence of… Frank Sinatra, Fred Astaire & Sir Winston Churchill are among some of the most legendary names to have set foot in their shop. 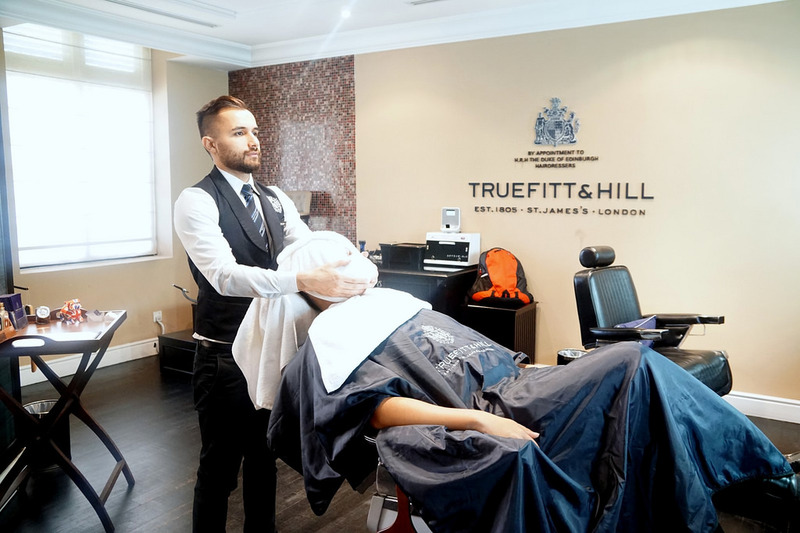 Many famous writers such as William M Thackery and Charles Dickens have quoted Truefitt’s in their books, making the famous barbershop’s name ever-lasting. 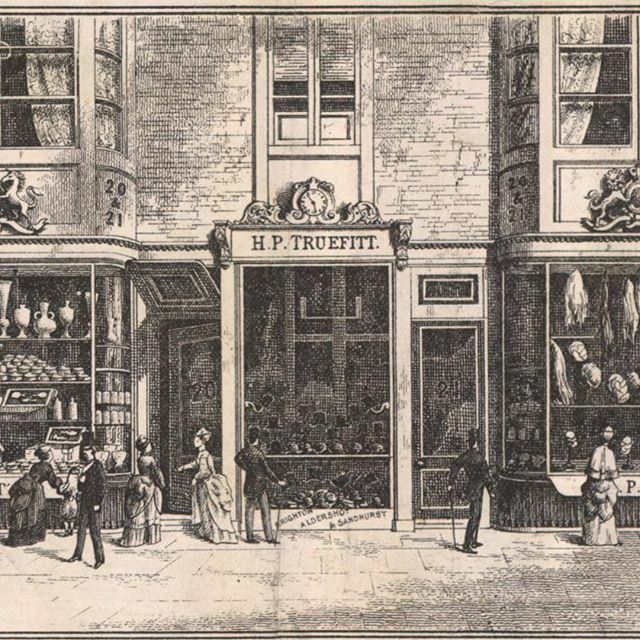 “At Mr Truefitt’s, the excellent hairdresser’s, they are learning French to beguile the time”. – The Uncommercial Traveller, Charles Dickens. William Francis Truefitt, the founder of the barbershop, had a vision of bringing only the highest quality goods and services to the patrons who arrived through the door, and it is safe to say that this dream has truly been maintained many years later. They have also expanded to other corners of the earth such as India, Singapore, Bangkok and Toronto. The shop holds a Guinness World Record for the oldest barbershop in the world, and is set in one of the most historic areas in London, though it certainly doesn’t look it! 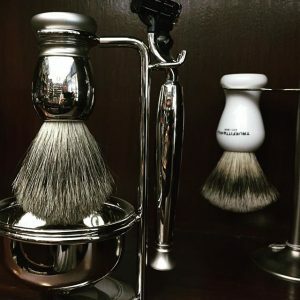 Their classic British design boasts sophistication and luxury with a modern twist, and an expansive display of their products produced in England. 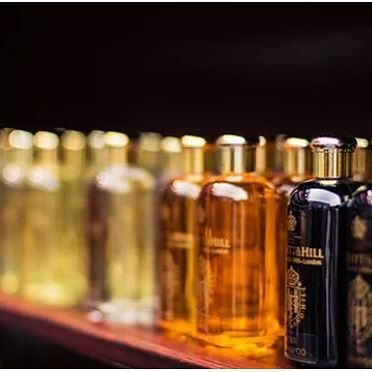 From spicy smells in the Trafalgar rage to zesty scents in their West Indian Limes collection and many many more, there is a product to suit every man and an excellent quality piece of equipment to work with on the days you can’t make it to their shop. “Our products are formulated with an exquisite blend of rare, natural and sophisticated essences”. Ranging from £15 – £160, their list of treatments remain in high demand as always. During your appointment, you will be attended to by a highly trained professional who has a passion for the art of barbering. And with 5* reviews from new and loyal clients, it’s definitely worth a trip to London to see for yourself. – “You will leave feeling you are a new man”.